We carry different kinds of beverages including Pepsi products - Pepsi 20oz, Diet Pepsi 20oz, Moutain Dew 20oz, Diet Mountain Dew 20oz, Starbucks coffe, Gatorade 32oz, Gatorade 20oz and many similar beverage products. 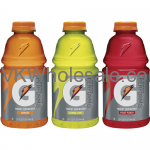 Minimum quantity for "Mix-n-Match Gatorade 20oz 24PK" is 50. 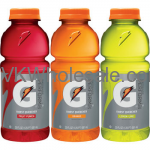 Minimum quantity for "Mix-n-Match Gatorade 32oz 12PK" is 50.